The Jones family: Ken and Michele with their children Ryan, 18, Justin, 15, and Lauren, 12. One in every 691 babies in the United States is born with Down syndrome, making it the most common genetic condition. Before my children were born, I was a registered pharmacist and working full time in pediatrics. I was all too familiar with the neonatal intensive care unit (NICU) and pediatric medicine. I grew up in Boardman and lived in both Columbus and Cincinnati before my husband, Ken, an orthopedic surgeon in Warren, and I chose to relocate back to northeast Ohio in 1999. Lauren, 12, is a 6th grader at Howland Middle School. When my third child was born with Down syndrome in 2004, I was unprepared, but quickly realized that I must learn everything I could to make the best possible life for my daughter, Lauren. I soon wore the emotional hat of “parent” as well as healthcare professional. At 1 week of age, Lauren was diagnosed with transient myeloproliferative disorder (TMD), also known as leukemia of Down syndrome. She had 2 bone marrow biopsies before 2 months of age, but thankfully the TMD self-corrected without further intervention. At 8 weeks of age, Lauren began speech, physical and occupational therapies. She started meeting her developmental milestones and since then, we have never looked back. Our family is always moving forward celebrating one day at a time and each accomplishment as it comes. Today, Lauren is a busy 12 year old. She loves dance, soccer, tennis, choir, swimming, reading and playing the piano. She would like to become a chef when she grows up. 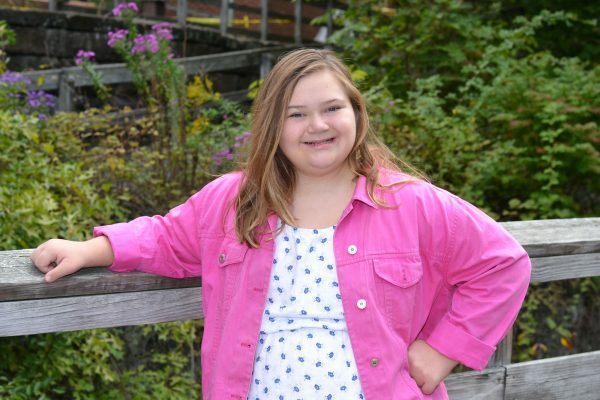 She has 2 older brothers – Ryan, a senior, and Justin, a freshman, at Howland High School. Lauren is a 6th grader at Howland Middle School. Lauren also loves to travel. One day she will become a self-advocate and join others as they visit Washington D.C. to speak with members of congress and their staff on Capitol Hill to advance education, research and healthcare for people with Down syndrome as part of the National Down Syndrome Society Buddy Walk on Washington and join other members of the Down Syndrome Association of the Valley each year. As a parent mentor, I always tell other families that raising a child with a disability, Down syndrome in particular, is no different than raising any of your other children. You will worry just the same. It may take them a little longer to do some things, but they will be successful! Even obtaining the smallest task or reaching the next milestone will become a major joy. 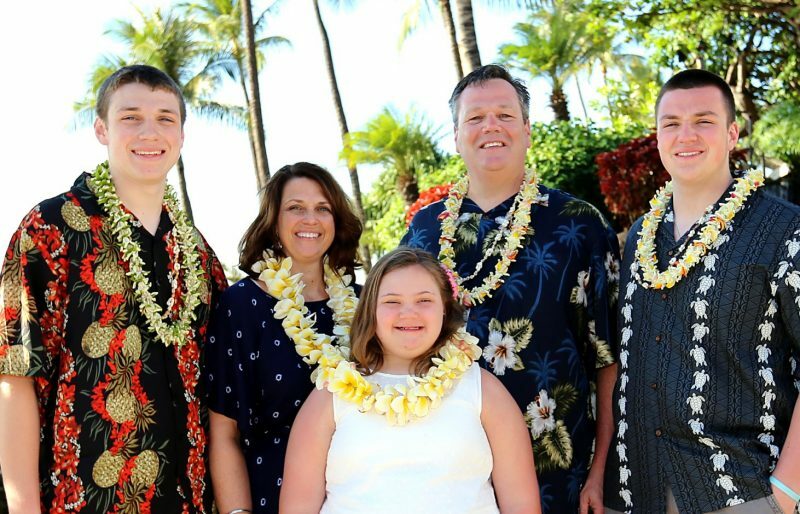 By providing good healthcare, quality educational programs, a stimulating home and positive support from family, friends and the community, people with Down syndrome lead fulfilling and productive lives. My various experiences – both professionally and personally – led me to become a co-founder of the Down Syndrome Association of the Valley in 2007. It is a regional non-profit that provides support, advocacy, education and opportunity for those with Down syndrome and their families in eastern Ohio and western Pennsylvania. Membership is free and open to all individuals including parents, healthcare professionals, educators and anyone interested in making a difference in the life of someone with Down syndrome in our region. We opened the DSAV Center for Success in Boardman in 2009, so individuals with Down syndrome and their families have access to a facility that provides social activities, literacy programs, family grants, new parent and prenatal diagnosis information, and so much more.